For many home remodelers, installing hardwood floors is a desirable home-improvement project because of wood flooring’s distinctive qualities and sophistication. 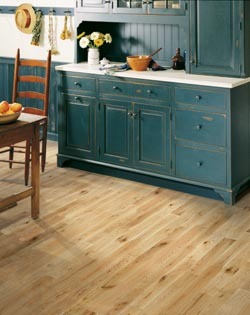 Hardwood flooring is coveted for its visual appeal and timeless elegance. Let the team at our showroom show you our impressive selection of stunning and affordable solid and engineered hardwood flooring options. Working with many of the most reputable manufacturers in the industry, you can trust our store to provide you with eco-friendly hardwood flooring that is built with durable materials and integrity. We look forward to helping you transform the look and feel of your home with our hardwood floors. Engineered Hardwood Flooring – This versatile and stable floor covering is more resistant to moisture and humidity than solid hardwood, which makes it perfect for below-grade installations where dampness is common. Trendy Hand Scraped Flooring – This one-of-a-kind floor covering gives you the antiquated feel of an Old World floor while providing you with lasting durability and a unique style. Solid Hardwood Flooring – This classic floor covering is made from the best solid hardwood, chosen from a variety of species. With the proper maintenance, this type of flooring can last a lifetime. One of the main reasons so many people turn to hardwood floors for their homes is because they know it will provide the boost in appearance and value they want for their property. Gorgeous hardwood floors never go out of style and help to dramatically upgrade the appraisal value of your home. With the right type of flooring and a professional installation from our team, you can enjoy an impressive floor that you will cherish for as long as you own your home. The key to boosting your property’s value is making sure you are buying the highest-quality products to install in your home from such trusted names as Downs Performance™, Floorcraft™, and Design Distinctions™. We are always proud to provide you with the best solutions for your wood flooring needs, including professional installation. Let us help you narrow down the top choices that meet your specific flooring requirements. In the past, eco-friendly conjured up the look of bland and boring materials. This is no longer the case, thanks to the stunning eco-friendly hardwood flooring options available at our showroom. As more designers and homeowners seek greener flooring options, manufacturers have stepped up to ensure that eco-friendly floors can also be beautiful. Contact us for one of our friendly wood flooring representatives today to learn more about the great options available to you. We proudly serve the communities of Hooksett, Manchester, Goffstown, Bow, and Bedford, New Hampshire, as well as the surrounding areas.